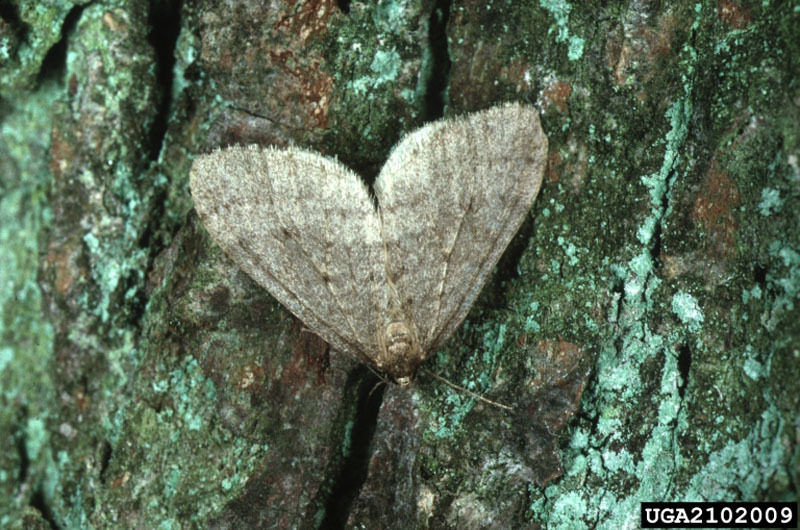 Several hardwoods (linden, Scotch elm, red maple and Norway maple), and particularly oak trees and apple trees, can be attacked by winter moths, which are defoliator insects that lay their eggs in lichen or bark crevices on tree trunks. 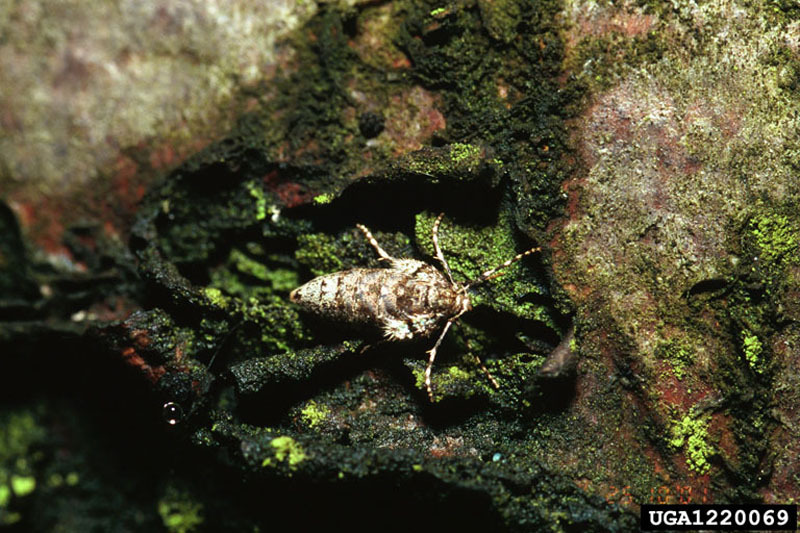 The virtually wingless female moths are unable to fly and have to climb along the trunks to lay their eggs in appropriate spots. Hatching occurs one morning in the spring and the emerging yellowish green, young larvae, hanging by the end of a thread, are carried upward by warm air to the tree crown. The young first-instar larvae attack buds, while other instar larvae devour foliage, mostly during the last two weeks of June. 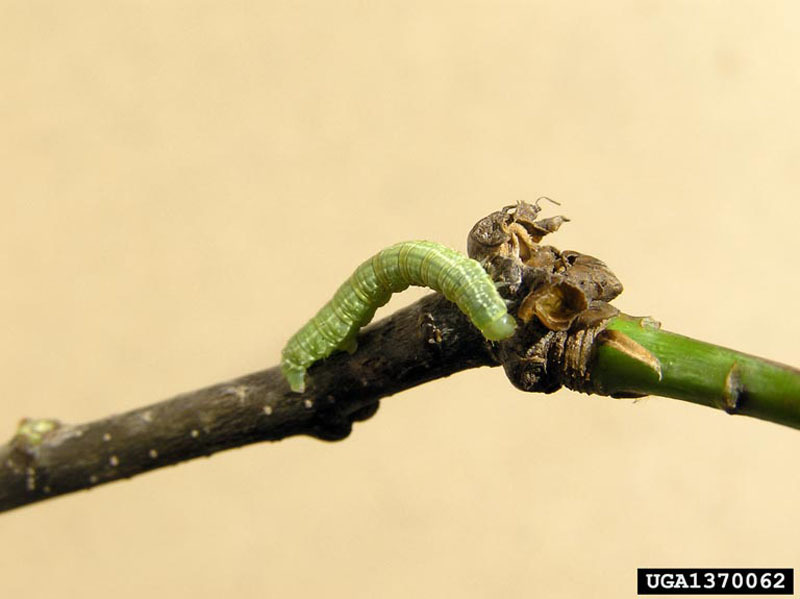 Trees can be severely defoliated and the larvae quickly run out of food. Then they drop to the ground by the thousands, which in urban areas constitutes a further nuisance on top of the insects’ devastations. 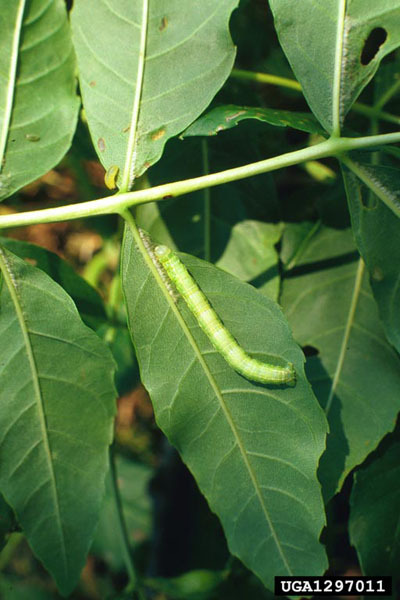 However, some mature larvae curl up in the leaves. If the trees are partially defoliated over four consecutive years, the mortality of infested branches and twigs can be high, and the trees may die if complete defoliation occurs over an equivalent period of time. In Nova Scotia, about 40% of red oak stands have been killed in some areas. Small holes in leaves may indicate the presence of young larvae. However, to confirm this diagnosis, it is necessary to find light green caterpillars, which, like all loopers, arch their backs as they move. Winter moths originated in Europe and Asia and were introduced into North America before 1930. Since then, they have been found in Nova Scotia, Prince Edward Island and southern New Brunswick, and seem permanently established in the Maritimes. They were discovered on Vancouver Island in 1977. Winter moth is a serious defoliator of fruit trees and of the only indigenous oak in western Canada, Garry oak. 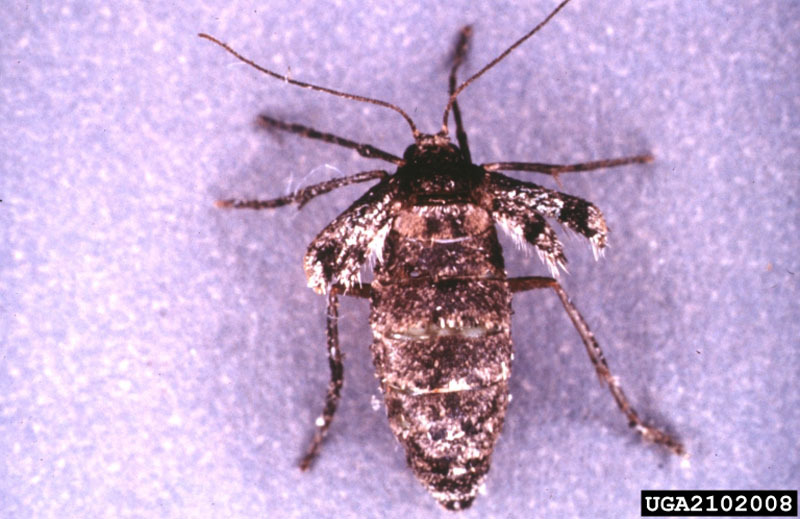 To combat winter moths, two non-indigenous parasites are used in Nova Scotia and have proven to be effective. Bacillus thuringiensis, better known for its use in controlling Eastern spruce budworm, is also used as an organic insecticide. In Western Canada, winter moths are considered a pest with a predilection for cranberries.